In an unbounded, lean-staffed world, burnout is never too far from jumping up and taking down any of us. What used to be the domain of mostly the people industries—education, social work, and health care, burnout has become a problem for everyone. The last stage of chronic stress, burnout is the final stop after a prolonged bout of excessive stress that drains energetic resources until there is no remaining capacity to cope. All that remains are the signal dimensions of burnout: complete exhaustion—mentally, physically, and emotionally—depersonalization and cynicism, and an inefficacy that comes with reduced productivity and low morale. It’s a strange, mysterious state to be in for most people who wind up with it, since they tend to be the hardest workers, the achievers, the most conscientious. They have always been able to bring more to the job than the average person—more endurance, stamina, intensity. But now it’s gone. What happened? In a nutshell, their coping resources were drained over a prolonged period during which the stress response remained activated 24/7, unleashing a tide of defensive resources, from hormones like adrenaline and cortisol to jacked-up blood pressure velocity. At a certain point, the backup energy supply runs out, and the resulting fatigue is so startling that the burned-out can hardly recognize the person whose name is on their driver’s license. The bigger secret of burnout is that, yes, it can be set off by an individual overdoing it in the face of severe demands, but it’s often the byproduct of structural and organizational factors too. Researchers have identified risk factors in organizations—burnout triggers—beyond individual stress reactions that play a prime role in burnout. The more we can become aware of these warning signs, or imbalances between the person and job, the more individuals can avoid the burnout treadmill and organizations can keep their talent from flaming out and running up health and retention costs. 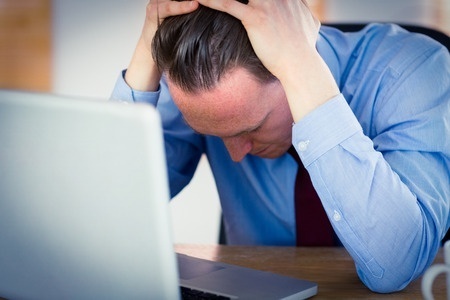 Some 40% of people who leave their companies cite stress as a factor. Humans are the social animal, and that’s certainly true at the office as everywhere else. We are designed to connect, relate, and support and when that doesn’t happen in overloaded organizations people operating in isolation beyond coping resources can get trapped on the burnout treadmill, where pessimism and negative emotions fester. Burnout scholars Christina Maslach and Michael Leiter have documented that when we don’t pay attention to the human side of work, there are consequences—bad health to bad performance. What they are describing is a decline in attitude and output that comes from disengagement in the work. It turns out that the main dimensions of burnout are the opposite of employee engagement—energy, commitment, and effectiveness. No management team would knowingly order up a prescription for burnout if they knew it would gut engagement. Yet in a world where autopilot reflex is the driving force, action precludes thought and burnout triggers can become entrenched while everyone is up to their eyeballs in mechanical momentum. Let’s take a look a look at how group and interpersonal dynamics in the organization can create burnout triggers. Here are six warning signs identified by Maslach and Leiter, known as the Areas of Worklife Model, that can transform stressors into a much bigger problem: burnout. Excessive workload is always the aggravating factor for burnout. When demands constantly push physiologies beyond capacity, energy sources are overloaded. Nobody wins when we do more than we can do well. If you are bringing home work and leaving late chronically, this doesn’t end well. You might be able to handle the work of an ex-colleague who hasn’t been replaced for a little while, but you and managers need to insist on getting the support, or the department will soon be down another person. The risk of heart disease and diabetes increase threefold with workweeks more than 51 hours. Excessive hours keep you from recharging and recovering from stress, allowing chronic stress to entrench, which crowds out positive emotions, which are absent in burnout. Researcher Robert Karasek identified the chief driver of workplace stress, lack of job control, or latitude. Stress is a function of how much perceived control we feel we have over the demands coming our way. The goal for managers who want engaged staff should be to encourage more autonomy in how people do their jobs. More flexibility leads to more sense of control and more self-responsibility. More micromanaging leads to less latitude and more stress. Discuss ways you might be able to play a bigger role in how you manage email, deadlines, your schedule, or other stressors that create a work environment that feels out of control. Extreme workload wears away at the energy and loyalty of employees. When overload becomes the expectation and there is no compensating reward for the extra effort or even a sense of gratitude, it is human nature to feel you’re on the short end of the stick. This is the breeding ground for disengagement. Having to make efforts continually beyond the call of duty or job responsibilities without recognition or reward deepens loss of trust and lack of commitment. People who put in a lot of effort and get inadequate rewards are twice as likely to have heart disease (Siegrist). There is an implied contract for most of us that we will be treated in good faith. When that trust is broken, cynicism grows. As workload grows along with profits that don’t get spread around, loyalty fades and bitterness sets in. In the era of downsizing and restructuring, many feel their efforts are not valued, promises are not being kept, and everyone is replaceable. This climate added to chronic overload can ramp up the withdrawal and cynicism of burnout. High-turnover, mergers, and constant changes within organizations can hollow out support systems and leave employees estranged as they try to do more than they are equipped for. Alienation is the route to cynicism, a main dimension of burnout. People feel more depersonalized when there is a sense that no one cares, and engagement disappears. The risk for burnout grows as trust fades. Be as proactive as you can and communicate with managers and lobby hard for support. Finding teammates and mentors who care can provide a critical buffer to the forces of overload. People are more likely to embrace the vision of the company they work for when it reflects their values. Having a good fit on values can spur people to go beyond the extra mile. But when those values are contradicted by policies or behaviors that are at odds with deeply held values, the mismatch can lead to an acceleration of disengagement and withdrawal. Burnout, then, is often a two-way street. The chronic stress that sets it off may start with incessant high demands that drain an individual’s coping resources. The experienced burnout, though, can be deepened by the social layers of organizational distrust and lack of support and reward. Since the damage of burnout to individuals and teams is super-costly, from absenteeism to cardiovascular treatment, to depression (which is seven times more costly to treat than the average workplace malady), to tanking productivity, the status quo has to be challenged and solutions found. There is a healthier road to success.